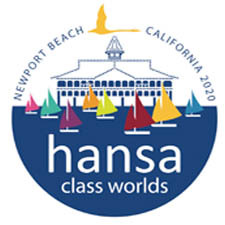 Five nations have qualified for places at the Rio 2016 Paralympic Sailing Competition following the Para World Sailing Championships being held at the Royal Yacht Club of Victoria in Williamstown, Melbourne, Australia. The Netherlands, New Zealand, Poland, Singapore and Spain have earned the right to compete in Rio next September. Light southerly winds awaited competitors on the last day of the regatta. Under bright sunny skies, competitors relished the easier conditions on Port Phillip after two very hard days of strong breezes and big waves. Although Dan Fitzgibbon and Liesl Tesch had the Para Worlds all wrapped up prior to the final race, there was no hint of complacency in the team. During a pre-race delay while the race committee waited for the breeze to settle, the Australians spent their time adjusting the rig for today’s lighter weather, testing the result and tuning again. Most other teams took the opportunity to simply relax and sail around the starting area. It was no surprise then, when the Australians burst away from the start line and quickly established a break on the rest of the fleet. They extended that lead throughout to finish well clear – an emphatic conclusion to a brilliant campaign for the World champions. The Polish crew of Monika Gibes and Piotr Cichocki would have been pleased to score another second to add to yesterday’s result, which elevated them to fifth spot on the leader board. The Singapore pair of Jovin Tan and Desiree Lim scored a third place today, while the British team of Alexandra Rickham and Niki Birrell sailed a steady race to finish fourth today and cement their second place in the championship, well clear of the Italian pair of Marco Gualandris and Marta Zanetti, whose seventh today was good enough to maintain their spot on the podium. The consensus among both competitors and officials is that this was a wonderful regatta. It was certainly well run, and the wide range of conditions encountered ensured fair competition for all. Many will remain in Williamstown for the next ten days with several crews competing at Sailing World Cup Melbourne. 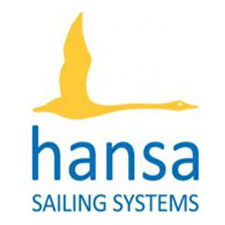 From thereon in it’s into 2016, Paralympic year, and sailors will have their eye on the 2016 Para World Sailing Championships in Medemblik, the Netherlands along the way. Sailing – Para World Sailing Championships 2015, Royal Yacht Club of Victoria, Williamstown (Aus). 29/11/2015. . Photo: Teri Dodds. Sailing – Para World Sailing Championships 2015, Royal Yacht Club of Victoria, Williamstown (Aus). 30/11/2015. Photo: Teri Dodds. Sailing – Para World Sailing Championships 2015, Royal Yacht Club of Victoria, Williamstown (Aus). 2/12/2015. Photo: Teri Dodds.